Have You Heard The Latest In The Awan Brothers Scandal? For all of the preoccupation of the American mainstream media on the purported scandal in which Donald Trump’s camp was said to have “colluded” with the Russians to rig the 2016 presidential election, a scandal which has largely morphed away from the initial accusation and into an examination of the actions of Trump and his advisers in attempting to put it to bed, a much more consequential and dramatic affair is being lost. That being the saga of the Awan brothers, the Pakistani-born information technology experts under investigation for a host of potential misdeeds serious enough to affect our national security. Imran Awan, the figure at the center of the scandal, was hired by Rep. Debbie Wasserman Schultz as a computer systems guru back in 2005. Awan managed to sell himself to various other congressional Democrats over the following years, bringing his brothers Abid and Jamal and his wife Hina Alvi, not to mention a couple of others, along in a lucrative Awan brothers family business which ultimately served some 80 Democrat members of Congress and brought the Awans into a position of getting to see and download material of the most serious kind. 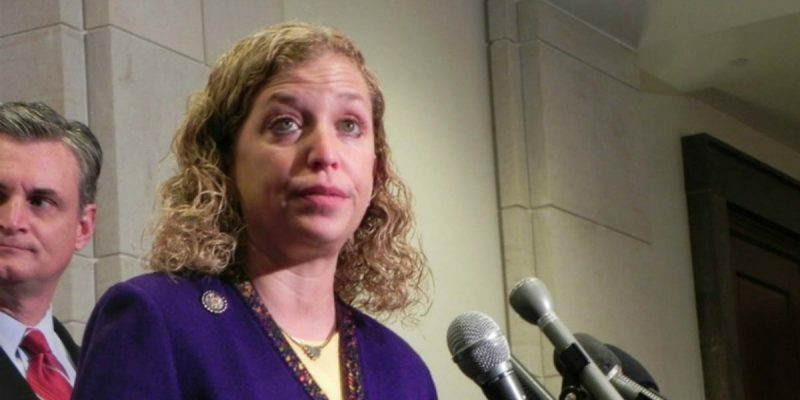 The Capitol Police have been investigating allegations of improper access and download of that information, as well as the theft of expensive hardware from Congress, since early this year – and yet the Awans are still listed on the books as IT professionals for a number of their Democrat clients even now. The tenants called the Naval Criminal Investigative Service and, not long after, FBI agents arrived together with the Capitol Police to interview them and confiscate the equipment. The Marine spoke on condition of anonymity because of concerns for his wife’s naval career, saying she doesn’t want to be associated with a national security incident. We don’t know what information might be on those hard drives, but if the Awan brothers weren’t able to completely destroy them we might just find out, and at that point the investigation will likely produce indictments and trials. How deep can this rabbit hole go? Well, don’t forget that Debbie Wasserman Schultz was also the chair of the Democrat National Committee, the contents of whose e-mail server were released to Wikileaks. No one knows who was responsible for that action; all along the media, taking cues from three relatively politicized intelligence sources within the Obama administration (the FBI, CIA and Director of National Intelligence James Clapper), have assumed it was the Russians. But is it not just as plausible that Wasserman Schultz brought her Pakistanis along to do IT work for the DNC and paid the price of having those e-mails sold to the highest bidder? And why hasn’t that been investigated? What happens if the FBI and NCIS finds DNC e-mails on those partially-destroyed hard drives Imran Awan left in his garage? Previous Article LANDRY: Trial Lawyers Fighting Over Ridiculous Legal Ads? What’s New?